Voilà Salon and Spa is dedicated to providing essential maintenance to create beauty, reduce stress, achieve balance and maintain well being. As a full service salon we provide cutting edge technologies such as the Perfector Non Surgical Facelift, Arasys Body Contouring System and Permanent Makeup. 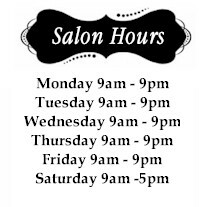 As well as a full range of hair, nail, skin, waxing, massage and piercing services. Our talented, experienced and dedicated staff is looking forward to sharing their expertise with you and earning your trust as another valued customer. We are dedicated to consistently providing high customer satisfaction by rendering excellent service, quality products, and furnishing an enjoyable atmosphere. A friendly, fair, and creative work environment shall be maintained which also respects diversity, ideas and hard work. Voilà Salon and Spa is proud to produce results in the most efficient and effective environment. Please be sure to read about our amazing cutting edge technologies. These machines are an alternative to plastic surgery. We offer a free demonstration session of the Perfector. 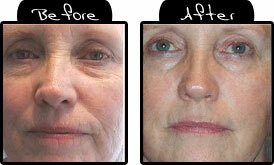 See more before and after photos on the Arasys web page. You may book a free demonstration at your convenience. For your convenience, you can print a copy of our brochure. Your products are up to 20% off when you order online.